Since our inception, we have been instrumental in offering premium quality Large Compression Springs that are available in various specifications in tandem with the diverse needs of the clients. These springs are highly admired for their unrivaled features such as excellent strength, dimensional accuracy and rust resistance. 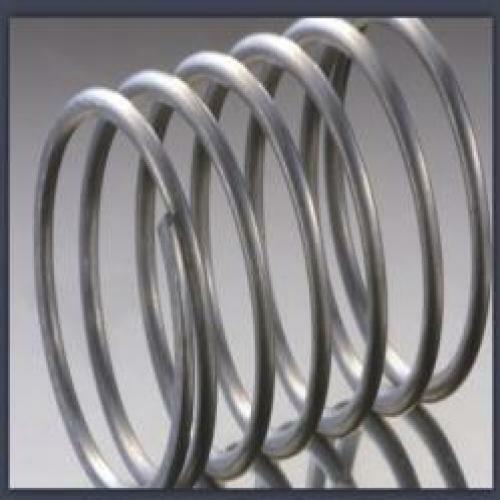 Offered springs are immensely used in various engineering works for providing optimum compressive strength and are manufactured using high grade metal alloy and modern machinery. In ahead of dispatching the delivery from our end, the offered products are tested thoroughly to ensure their flawlessness. Our precious clients can avail these Large Compression Springs at rock bottom prices. Out Side Dia. : Upto 200 mm. Total Length: Upto 1000 mm.